Want to pick up some useful stamping techniques using the very popular clear stamps you see in stores these days? 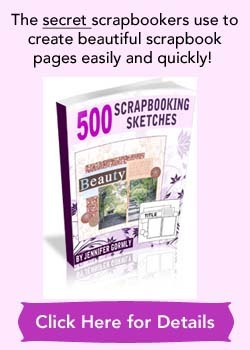 You’ll find great tips presented by the lovely Jennifer McGuire in this 2-minute scrapbook video. I’ve seen these stamps taking up more and more space on the shelves of scrapbook stores. The varieties of clear acrylic stamps have been increasing and new designs keep popping up. In fact, not so long ago my good friend asked what’s all these clear stamps are about. Clear stamps are real easy to use. You just have to peel the stamp from its backing sheet, attach it to an acrylic block, apply ink on it, and you’re ready to stamp! It’s great that you can see exactly where you are stamping to ensure greater accuracy. To see it in action, watch the video below. Clear stamps allow you to achieve the perfect title placement, and it also demonstrates how flexible clear stamps can be as compared to wooden stamps. It’s little wonder clear stamps are gaining such popularity. Did I also mention that it’s really easy to store them as they hardly take up much space? 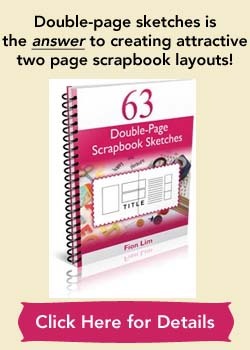 To look at the latest and beautiful clear stamp designs, you can look at the amazing collection of acrylic stamps at Scrapbook.com.